Create a video about Posse Personal In-Ear Monitor System, 1-2 mins in length and submit your video as a response to the announcement video on youtube. 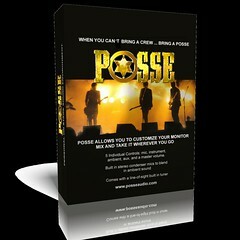 The top 10 finalists will receive a free Posse! And the winner will receive a VIP weekend trip to LA, a recording session at Flying Pig Studios, AND the song they record will be released as a bonus track on The Official 2012 DigiTour Compilation album! We’re excited to announce that Posse is now an official sponsor of the DigiTour 2012! The second annual DigiTour national tour brings your favorite YouTube musicians to you! This year’s lineup includes Dave Days, DeStorm, Ricky Ficarelli, Alex Goot, Asher Monroe, Nice Peter, and The Key of Awesome. 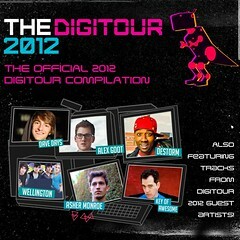 Visit www.theDigiTour.com to learn more about these headliners. This year’s tour packages all come with a digital package containing songs from select headliners: “Deck The Halls” by Dave Days, “Finally Free (ft. Talib Kweli)” by DeStorm, “So High” by Asher Monroe, “Like It’s Quidditch (Acoustic)” by Nice Peter, “Moves Like Jagger (parody)” by The Key of Awesome. Stay tuned for more news and videos about Posse contests and giveaways during the DigiTour 2012! Posse, Aviom, and Shure: 3 Heavyweights battle it out for in ear system supremacy! When it comes to in ear monitor systems, the first names that will come into any musicians head are Aviom, Shure, and Posse. These 3 brands produce the best systems for reasonable prices and are the brands of choice of many musicians. But, which one of the 3 is really the best of them all? Read on to find out in our comparison test. For this test, we will be comparing in ear systems with similar prices and specifications from the big 3. We have chosen to compare the Aviom A-16II, Shure P2TR215CL, and the Posse Audio Personal on Stage Sound Environment Monitor System. The Aviom A-16II is an update to the original Aviom A-16 and has the same 16 mixer channels with the addition of nifty features such as automatic detection of the output so the mixer wil know if the device plugged into the audio out is a stereo or a mono. Another unique feature is that it has a so-called global trim function which can isolate the audio from your input while reducing the output from the other sources. It has the standard LED readout for volume, pan.spread control, and channel statuses. It also has the ability to create a preset mix with up to three groups of outputs. 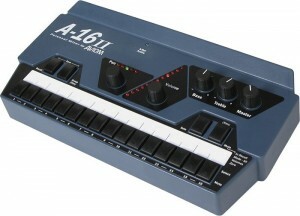 The A-16II sells online for around $620 on sweetwater.com. The Shure P2TR215CL meanwhile would be for those who would want a wireless solution to their in ear monitors. Its signals are strictly mono and it is limited to only 8 frequencies. It has a nice feature of having the capacity to have at least 2 devices plugged into the transmitter. These 2 line-level signals can be mixed and matched on the go. The addition of their sound-isolating earphones is a big plus. Who says going wireless can get you everything you want? The Shure set retails for $599 on sweetwater.com. 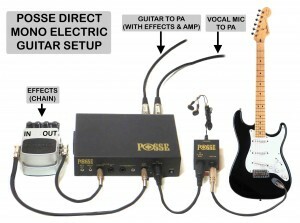 Right from the get-go, the Posse has a clear advantage in that it is the non-traditional mixer among the three. There are lots of input and output options for it that it will be a very flexible mixer for whatever the user will need. In terms of usability and mobility, the Shure and Aviom are still good contenders. The Shure has the wireless capability and included earphones while the Aviom can mix in up to 16 channels with LED readouts. 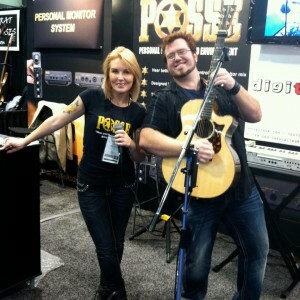 In terms of price, the Posse is the cheapest at $499 with free shipping while the Aviom and the Shure retail above $600. Clearly, with its myriad features at a spectacularly low price, the Posse is the best in ear monitor system out there right now in the market! What is a Digital Mixer? What do modern public address systems, recording studios, broadcast studios, and post-prod facilities have in common? If you answered that they all have a digital mixer there, then you’re absolutely right. The digital mixing console, otherwise known as the digital mixer, is practically an omnipresent sight wherever the reproduction of sound is involved. Basically, the digital mixer functions involve controlling, routing, combining, and modifying digital audio tracks and samples in order to produce a combined sound. Advancements in technology and constant improvements in the design of mixers have allowed for a wide range of digital mixer alternatives. Here are now many brands that offer various studio-quality mixers, and these products also have diverse prices so musicians or enthusiasts can choose the best option that suits their needs and their budgets. The deal with digital mixing consoles, also called DMCs for short, is that they’re very versatile, easy to use, and are usually integrated with modern software to better handle sound processing and output. 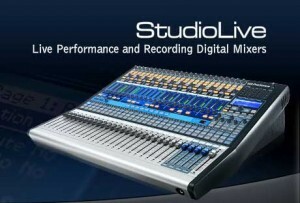 There are even digital mixer products that are excellent for both live performances as well as for recordings. They’re usually also handier than their analog counterparts, so it’s really a matter of need for many people. Because digital mixers can really put a big dent on anyone’s budget, it’s important to note that the features of these devices need to be handled by a knowledgeable individual. While most mixers are easy to use, the equipment still has to be understood by the one manning the controls so that the results will be more than satisfactory. Of course, there are now options to get automated solutions for handling complicated digital mixer equipment. Certain components practically run themselves and can be set to autopilot. Then again, there are also many modern digital mixers that come with knobs and controls styled like older and simpler analog mixers. This way, they are a bit easier to handle even for people who are not sound operators or sound engineers. Another great advantage of digital mixers is that there can be predetermined settings for use in certain situations, so one only has to load up that particular profile—already installed or set by an expert previously—for a particular situation. Professional audio mixing nowadays requires the use of modern technology to achieve the best results, and one of the prime examples of such technology is the digital mixer. The sheer versatility and relative portability of this device has made it very popular and widely used in today’s entertainment scene. 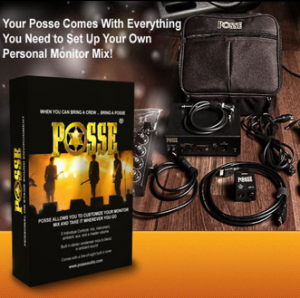 For More information of Equipping your Club with a POSSE system accompanying your Digital Mixer Click Here! If there’s one piece of equipment that musicians nowadays can’t do without, it’s probably the monitor system. Before the advent of reliable and high-quality In Ear Monitoring Systems that are freely available off the shelves of major stores, everyone were relying on large and bulky wedge speakers to blast out the monitor mix for the particular venue. When the IEMs became more prevalent, performers could get the monitor mix straight into their ears, allowing for clearer sound, better fidelity, as well as providing additional noise isolation and cancellation. Musicians and performers look for many qualities in their In Ear Monitoring Systems. Naturally, this device is an essential part of ensuring that the performance will sound good—and they aren’t free, too, so the investment must be considered carefully. Especially when it comes to personal monitor mixers, there’s has to be the right set of functions to give the performer full control. In Ear Monitoring Systems can be either of the one-way type or of the two-way variety. One-way systems are basically on just one driver at full frequency, similar to most of the various headphones you’ll find on the market. There are also two-way systems that make use of something called a crossover circuit, which then splits the single signal into two bands for two drivers (which render hi/mid frequencies and the bass). 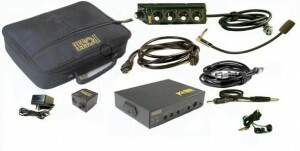 Two-way systems are generally considered to provide better fidelity as well as better audio quality. Given their functions and specializations, In Ear Monitoring Systems can be a tad pricey. The in ear monitors are different from the standard earphones available commercially for most consumers. For one, consumer ‘phones don’t usually offer the great fit and noise cancellation that monitors do, and their drivers may not be on par in terms of quality. That said, it’s important to keep an in ear monitor system in excellent condition to ensure long service life. Don’t hesitate to scout for top-quality In Ear Monitoring Systems if you’re really interested in taking control of your monitor mix no matter where you perform. Be it the stage, an arena, a club, or a studio, having a reliable monitor system should definitely be on your priority list. Make sure you consider the options carefully since there are already a ton of different systems available on the market. This way, you’ll have a monitoring system that’s really going to fit your own style and your sound. For the Best Comparison of In Ear Monitoring Systems for Today’s Musician, Click Here! For different locations, different stages, and different performers, there will be a number of different in-ear monitor systems as well. These systems are designed to provide a performer or a musician with the proper mix of sound, since what’s heard on the stage or inside the recording studio will be different from what the crowd or what the listeners will hear. These In Ear Systems are necessary devices that should be part of any professional’s collection, and they have really stormed the industry in recent years. Basically, the in ear system is a device that helps allow for an audio mix to be fed directly to a musician or a performer. These systems eliminate the need for wedges or speakers that output the particular monitor mix required by the performer, and they also offer better noise cancellation along with better sound. Some In Ear Systems even allow for direct control over the sound right on the stage, so musicians really get that personalized sound and can make variations and adjustments on the fly. The surge in popularity of In Ear Systems has brought about some good competition between brands. The market is teeming with a large number of options made by different companies, from big-time brands that are already staples in the audio industry to relatively newer additions to the business. 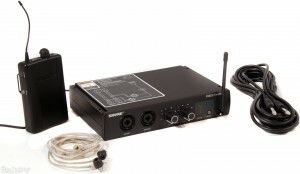 These systems commonly come in the form of a wireless system that is required to transmit the monitor mix straight to the performers’ in ear monitors, and the performer basically has a receiver pack. Every single monitor mix usually has one transmitter, and each in ear monitor also has to have a receiver. The signals are transmitted wirelessly over radio frequencies like UHF and VHF, although the UHF In Ear Systems usually fetch for more because they provide better sound and are less likely to suffer from interference. Getting in ear monitor systems requires some careful consideration, from the budget to the needs of the performer or the location or stage. In addition, one also has to consider if the system is okay for the in ear monitors themselves, as they will be the final stop of the system’s signals. Just make sure you don’t end up with In Ear Systems that will just distract you or affect your music even more. These are high-tech systems, but they still need to be simple enough to be controlled properly while still providing excellent audio. To better understand the POSSE Audio In Ear System and All of it’s incredible Features Click Here! If you’ve attended concerts, musicals, recordings, recitals, and even dances, then you’ve probably seen a sound mixing console before—you just didn’t know it was there because, by nature, these devices really just work in the background. Still, you were able to enjoy the sounds of that event or performance because of these nifty devices. Let’s take a closer look at mixer consoles and see why they’re important for anything that involves sound. A sound mixing console contains channel inputs and various controls for controlling the audio output. Depending on console, there are numerous features other than controlling the audio output itself. Some of the common extra features include powering mics, producing stereo sound using balance and pan manipulation, and adding external effects to the sound. Other less frequent features include the addition of effects via internal means, the creation of audible tones using oscillators, console automation, and the ability to be used with various types of recording equipment (including computers and their software). In recent times, there has been an influx of digital mixing consoles. A large number of professionals and musicians already work using these digital devices, thanks to the versatility and ease of use—not to mention the sheer portability of some of them. While many still use analog mixing consoles, the digital variants are gaining popularity and their rate of use continues to increase. There are pros and cons to going with either analog or digital consoles, and it is ultimately up to the professionals or the operators to decide between the two. No matter which type is chosen, the most important thing to keep in mind is to choose a sound mixing console that’s easy enough for the operator to handle fairly well and that it should be suitable for the kind of monitoring and the kind of mixes that one wants. Certain applications may require consoles that have many auxiliary sends, and others might not be able to provide the amount of sends needed for the number of configurations the show will require. A sound mixing console is undoubtedly an important piece of equipment for any performance or recording. Setting it is important before any performance, and the operator has to be on top of his game for the rest of the gig or the show or the recording in order to make any necessary adjustments and ensure the best possible sound. With the right mix and the right console, the best sound can be achieved. For More Information on creating your very own Personal On Stage Sound Environment Visit Here.